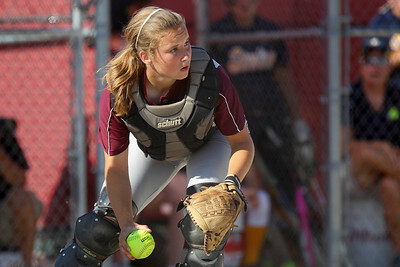 Mike Greene - mgreene@shawmedia.com Marengo's Larissa Pfieffer swings at a pitch during the sixth inning of the Class 3A Belvidere North Sectional Final against Sterling Monday, June 4, 2012 in Belvidere. 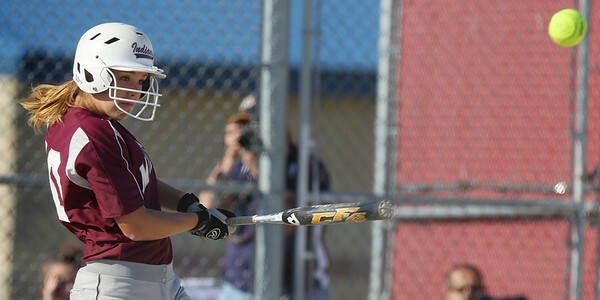 Pfieffer singled on the swing, knocking in one run and helping Marengo win the game 2-1. Mike Greene - mgreene@shawmedia.com Marengo's Megan Semro slides into home plate during the sixth inning of the Class 3A Belvidere North Sectional Final against Sterling Monday, June 4, 2012 in Belvidere. Marengo won the game 2-1, with Semro's run being the difference. 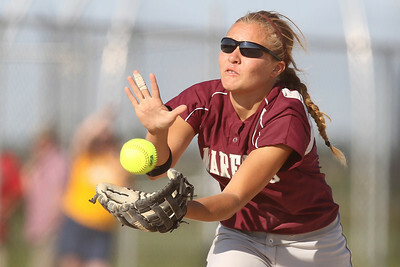 Mike Greene - mgreene@shawmedia.com Marengo's Shae Karsten catches a ball on the infield during the Class 3A Belvidere North Sectional Final against Sterling Monday, June 4, 2012 in Belvidere. Marengo won the game 2-1 to take home the sectional title. Mike Greene - mgreene@shawmedia.com Marengo's Bethany Hart slides into home plate as Sterling's Ashli King attempts to recover the ball during the Class 3A Belvidere North Sectional Final Monday, June 4, 2012 in Belvidere. Marengo won the game 2-1 to take home the sectional title. Mike Greene - mgreene@shawmedia.com Marengo's Shae Karsten a grounder on the infield during the first inning of the Class 3A Belvidere North Sectional Final against Sterling Monday, June 4, 2012 in Belvidere. Marengo won the game 2-1 to take home the sectional title. Mike Greene - mgreene@shawmedia.com Marengo's Lindsay Melson pitches during the first inning of the Class 3A Belvidere North Sectional Final against Sterling Monday, June 4, 2012 in Belvidere. Marengo won the game 2-1 behind Melson's complete game. 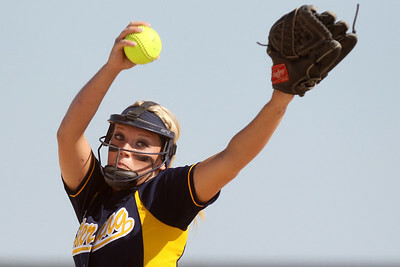 Mike Greene - mgreene@shawmedia.com Sterling's Stephanie Kester pitches during the first inning of the Class 3A Belvidere North Sectional Final against Marengo Monday, June 4, 2012 in Belvidere. Marengo won the game 2-1 to take home the sectional title. 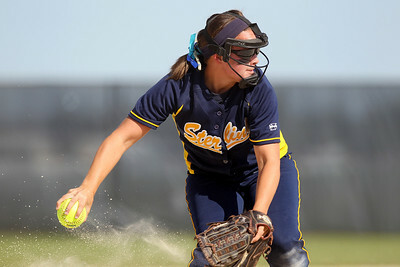 Mike Greene - mgreene@shawmedia.com Sterling's Karlie Mellott fields a ball on the infield during the Class 3A Belvidere North Sectional Final against Marengo Monday, June 4, 2012 in Belvidere. Marengo won the game 2-1 to take home the sectional title. 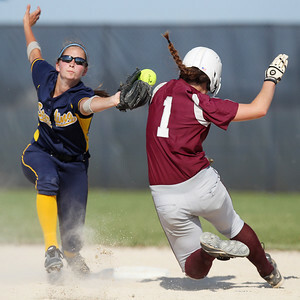 Mike Greene - mgreene@shawmedia.com Sterling's Karlie Mellott (left) attempts to tag Marengo's Reed Karsten during the Class 3A Belvidere North Sectional Final Monday, June 4, 2012 in Belvidere. Karsten was safe on the play. Marengo won the game 2-1 to take home the sectional title. Mike Greene - mgreene@shawmedia.com Sterling's Paige Lobdell fields a bunt on the infield during the Class 3A Belvidere North Sectional Final against Marengo Monday, June 4, 2012 in Belvidere. Marengo won the game 2-1 to take home the sectional title. 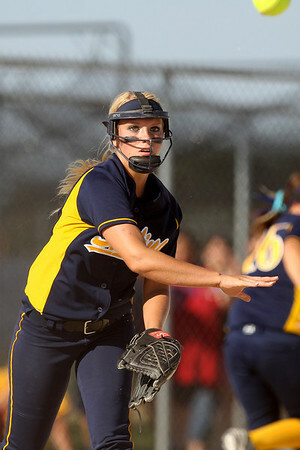 Mike Greene - mgreene@shawmedia.com Sterling's Stephanie Kester throws to first base after fielding a grounder during the Class 3A Belvidere North Sectional Final against Marengo Monday, June 4, 2012 in Belvidere. Marengo won the game 2-1 to take home the sectional title. 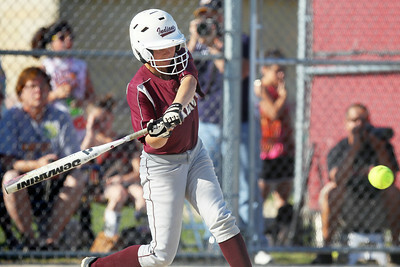 Mike Greene - mgreene@shawmedia.com Marengo's Megan Semro hits a single during the sixth inning of the Class 3A Belvidere North Sectional Final against Sterling Monday, June 4, 2012 in Belvidere. Marengo won the game 2-1 to take home the sectional title. 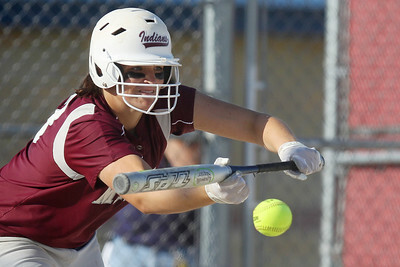 Mike Greene - mgreene@shawmedia.com Marengo's Taylor Carlson grabs a bunt in foul territory during the Class 3A Belvidere North Sectional Final against Sterling Monday, June 4, 2012 in Belvidere. Marengo won the game 2-1 to take home the sectional title. 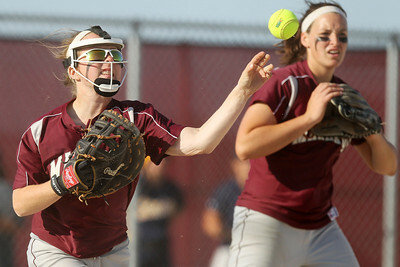 Mike Greene - mgreene@shawmedia.com Sterling's Karlie Mellott comes up short on a ball in the outfield during the Class 3A Belvidere North Sectional Final against Marengo Monday, June 4, 2012 in Belvidere. Marengo won the game 2-1 to take home the sectional title. Mike Greene - mgreene@shawmedia.com Marengo's Lindsay Melson bunts to move the runner over during the sixth inning of the Class 3A Belvidere North Sectional Final against Sterling Monday, June 4, 2012 in Belvidere. Marengo won the game 2-1 to take home the sectional title. 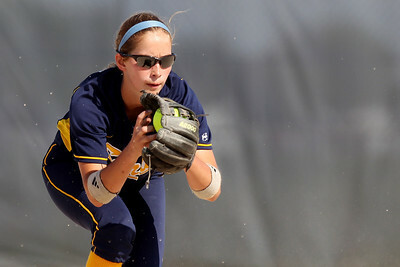 Mike Greene - mgreene@shawmedia.com Marengo's Abby Kissack fields a ball on the infield during the Class 3A Belvidere North Sectional Final against Sterling Monday, June 4, 2012 in Belvidere. Marengo won the game 2-1 to take home the sectional title. Mike Greene - mgreene@shawmedia.com Marengo players sing to the crowd following the Class 3A Belvidere North Sectional Final against Sterling Monday, June 4, 2012 in Belvidere. 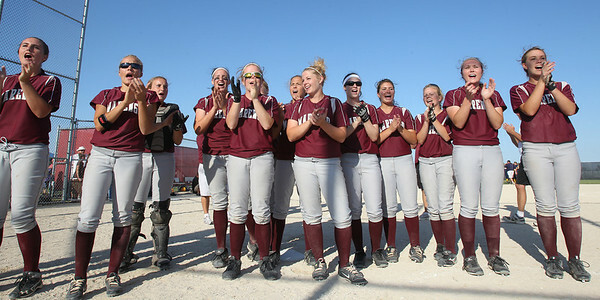 Marengo won the game 2-1 to take home the sectional title. Marengo's Megan Semro slides into home plate during the sixth inning of the Class 3A Belvidere North Sectional Final against Sterling Monday, June 4, 2012 in Belvidere. Marengo won the game 2-1, with Semro's run being the difference.